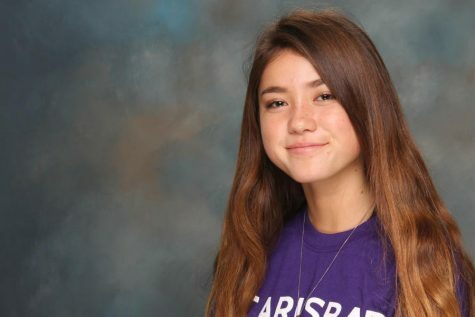 This month, Lancer Link has decided to recognize some of Carlsbad High School’s up and coming musicians. The following stories dig deeper into each artist’s passion, exploring how they got into music and what their future looks like. 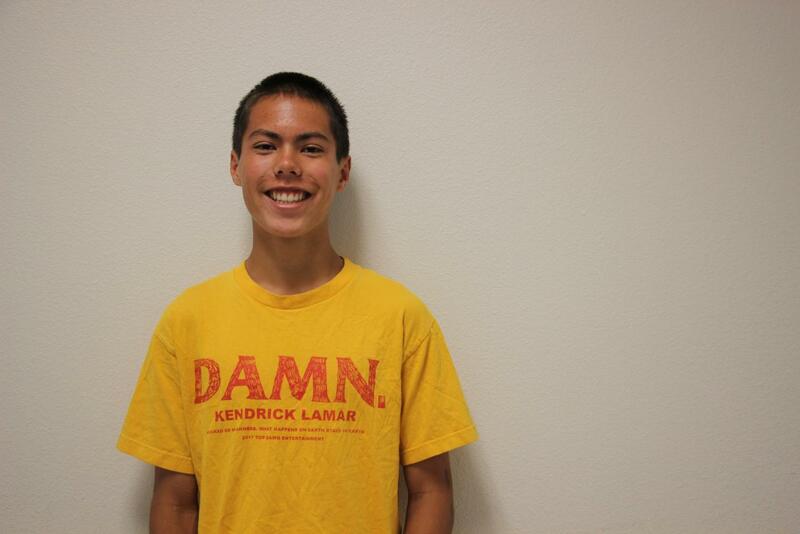 Sophomore Kai Burke uses music to express his views. The 2016 election changed the lives of millions of Americans. One of its most visible effects was how it inspired dissatisfied citizens to resist and voice their beliefs. Sophomore Kai Burke is one of these angered Americans, but instead of protesting or ranting on social media, he uses a more unique method of expressing himself. Burke is a Soundcloud rapper who goes by the name “Chronickai”. The election influenced him to share his thoughts and political frustrations with the world. Now he translates his experiences with racism and injustice into rhythm and rhyme. Burke has had his own experiences with racism. During his freshman year, another student harassed him because of his Asian background. That was not the first time Burke has felt uncomfortable because of his race, however. As a child, he felt different than his peers. “When I was little, I went to a school with mostly white people so I felt like I didn’t really fit in and I didn’t really know why,” Burke said. Burke explores this discomfort and his identity with songs like “Island Boy”. “Island Boy” features many allusions to the Philippines, where Burke still has family. Burke not only wishes to express himself through his music, but he wants to influence others as well. After all the hate he witnessed during the election, Burke hopes people can become more open-minded through music. “I’m just trying to educate people about racism in certain songs and to educate people to be more open and not judge people by any labels,” Burke said. Burke believes that the kind of change he desires can be achieved through music, especially rap. He thinks that rap is not only a satisfying creative outlet, but also an effective political tool, one that he intends to keep using in the future to advocate for his beliefs. “The whole purpose of rap is the political aspect of it…if you don’t want to hear that, don’t listen to it,” Burke said. Junior Gavin " Gavvin" Schmidt writes and records music under The Lost Donkey Entertainment. 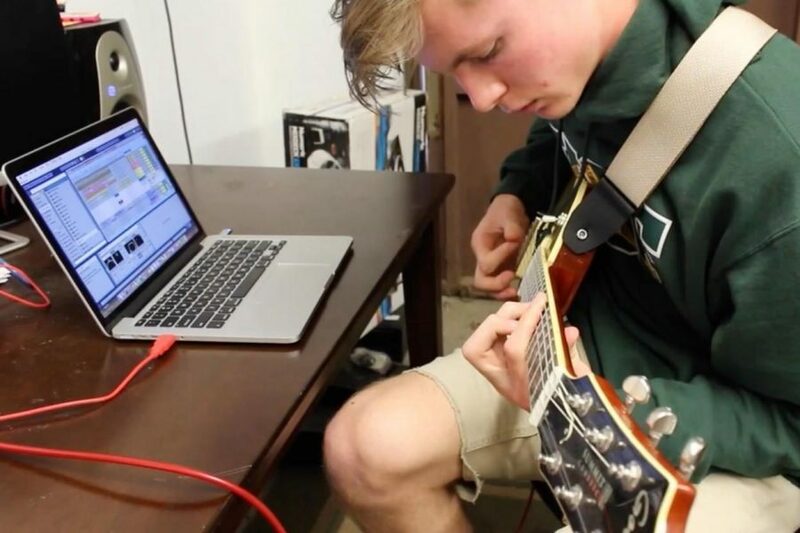 Recording in a studio in North Hollywood is a dream many want to achieve, and junior Gavin Schmidt already has. Schmidt possess a passion for music that goes beyond just listening to it; He writes it and puts it on music streaming apps such as Apple Music, SoundCloud and Spotify for many to listen to. A passion that started in middle school as a result of his older brother making music has not only landed him an audience, but a recording deal with Lost Donkey Entertainment. 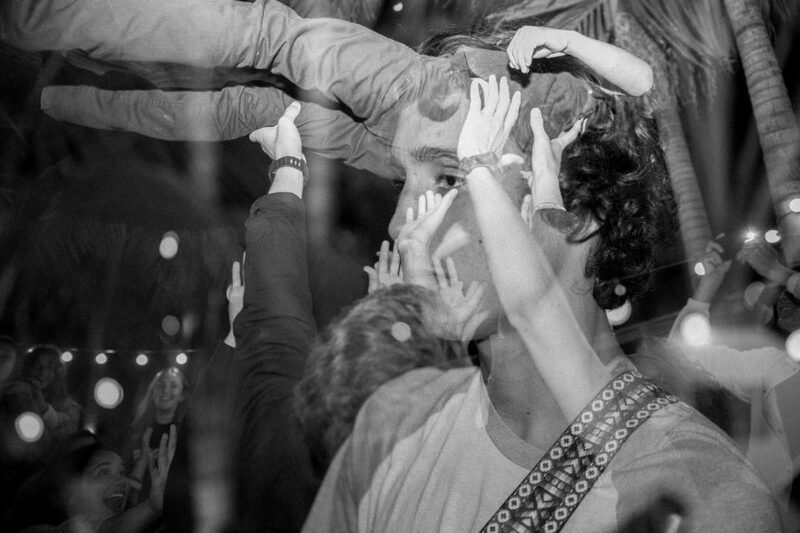 Schmidt, only 17 years old, writes his own music which he described as ‘different and vibey’. Along with the support and motivation from his family, Schmidt also has strong encouragement from his friends. One of his closest friends, Johnny Favila, has accompanied Schmidt to the studio multiple times and has encouraged the rapper to keep making music. 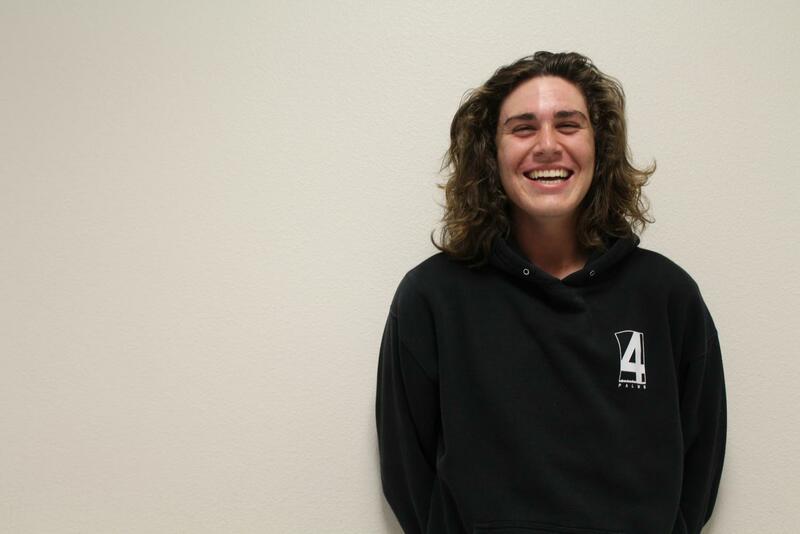 While it may be seen as a common hobby for many teens today, especially at Carlsbad High, many of the artist have yet to play actual shows. Schmidt has performed three different times, all being at the San Diego Observatory. Not only has he performed but he has also collaborated with a few different artists, something that young musicians do not do often. Not only has Schmidt developed his own style of music throughout his career, but he has also been inspired and motivated by many successful role models in the field. It is safe to say that music plays some sort of role in everybody’s life. It is something that can be used to cope or used to express the way someone feels. By writing and producing music, Schmidt is is able to express himself and share it with the world. Throughout his career, Schmidt’s passion for writing and producing music has only grown. By learning from his experiences, not only has every track that he has put out been different but his lyrical abilities have improved; something his supporters have taken notice of. It is no lie that the music industry is not very easy to get into nor is it easy to thrive in it. Schmidt believes that if he keeps doing what makes him happy he shouldn’t worry what others think of his music and gives that advice to other aspiring musicians. Senior Korey Loberg plays guitar. Loberg is a musician currently releasing music as Kevin Pesto. Balancing school with your personal passions can be quite difficult, but senior Korey Loberg has found a solution- in the form of Kevin Pesto. Under the pseudonym, Loberg has released a number of original tracks allowing him to improve on his personal passion for music. Loberg found an initial push to pursue music, as he sought to evoke similar emotions to those elicited from some of his favorite pieces of music. A number of artists and albums contributed to Loberg’s desire to create and share music. Loberg has found that some of his favorite moments involving music have been simple ones, where he is completely focused on his craft. “I loved over the summer, going in my garage at night, getting very, very inspired and staying up until 3:30 working on music. 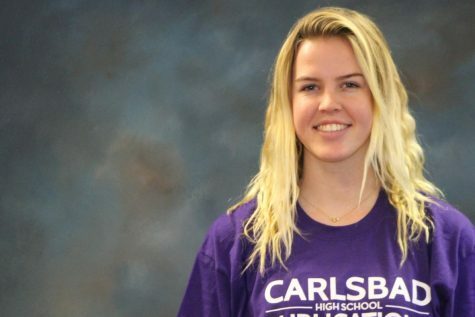 It is just so fun and time flies by you,” Loberg said. Loberg has attempted to force the creative process but finds that his best work presents itself in everyday moments when he least expects it. If you are interested in seeing more from Korey Loberg – or Kevin Pesto- you can reach his SoundCloud here and Instagram here. 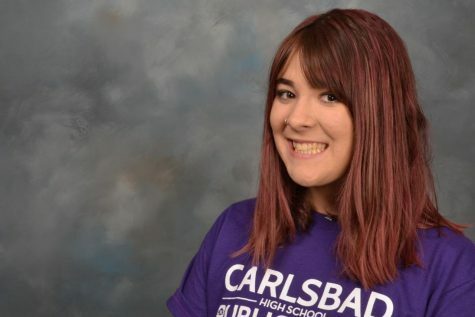 Numerous students at Carlsbad High School have passions for music, but what makes this passion even more special is when you share it with your friends. Juniors Davin Eagleston, Benji Vandzandt and Max Pinamonti, sophomore Gibby Anderson and senior Erik Methot recently formed a band, resembling a Cage the Elephant sound and vibe, named Happy Return. The band formed about four or five months ago, when Eagleston wanted the five to get together and do a gig for his birthday. They had all been interested in music for some time before this, but this was the first time they all played together. “We were all friends already and we all played instruments so we [decided] it would be fun to play shows and stuff,” Pinamonti said. Though the band enjoys covers, their originals are what they are known for. They have a few originals and many people have begun to recognize these songs and their unique style. The band practices as much as they can, usually every other day, but with the increase of schoolwork as students get closer to finals and the weight of extracurricular activities, the band has cut down to two or three times a week. Another interesting thing about the band is they switch off roles. While Vandzandt only plays the drums, Pinamonti plays guitar and bass. Methot mainly plays the guitar, but will occasionally sing, Anderson plays bass and sings and Eagleston plays guitar and sings. These five musicians all contribute to the band differently, each having their own individual sound that is apparent through their music. “Well, before having each other, we had our own styles of music and then once we started jamming, they came together and made a specific sound and it’s more unique,” Eagleston said. Though the band is unsure of their future, the overall purpose is to have fun and share their passion with their peers. 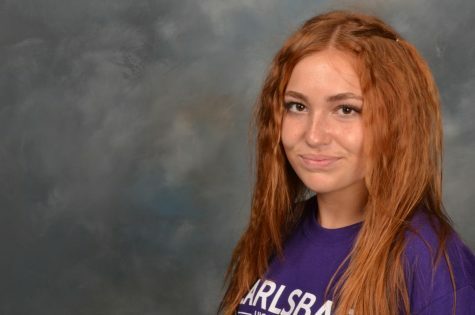 Freshman continues her music after auditioning for America's Got Talent. 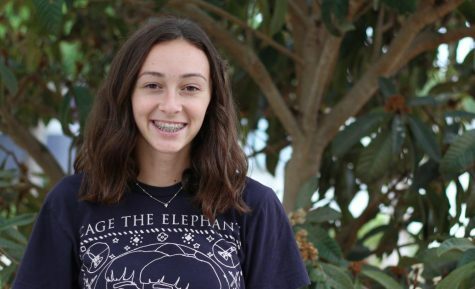 Freshman vocalist Hannah Bodden participated and made it through cut lists to try out for Americas Got Talent. Although she is a freshmen currently, she tried out as an 11- year- old and again when she was 12. She found a passion for singing at a young age, and it continues to inspire her as she incorporates it into her daily life. With her passion for singing comes the stress and anxiety of performing. Frequently, when people are asked to perform or speak in front of crowds they tend to experience some form of anxiety over the notion of losing their train of thought, getting embarrassed, or losing control over their behavior. While it is very typical for most people to have nerves settle in before the show’s audition, Bodden only being in fifth and sixth grade at the time of her tryouts seemed to have the stress fade away as she stood before the judges. For her audition, she sang the song, “I Don’t Know Why” by Norah Jones. Although she chose this jazz song, Bodden likes to venture in vast musical genres and practice in different tones and pitches. She ranges from jazz and pop to blues and R&B. “Dabbling in different musical context is great because there is always a song for every mood or feeling your going through,” Bodden said. Bodden’s extensive variety in the music she prefers to sing makes it that much easier for her to integrate her musical side into her everyday life. She states sometimes she will just start singing at random and not even realize it until her mom mentions it. While most people take singing as a hobby, Bodden feels strongly about it and wishes to dedicate her entire life to singing and make a career out of it. Since she is only into her first year of high school, a singing career seems distant, although she is working on the progression of her own record while keeping the balance of her school life in mind. “I am currently in contact with a record label right now, but I have to have my academics stable before I take that extra step,” Bodden said. Usually, when people get to high school, they become preoccupied with the burden of homework and challenging classes. The high school commitment tends to take away time for people to enjoy and develop their passions. 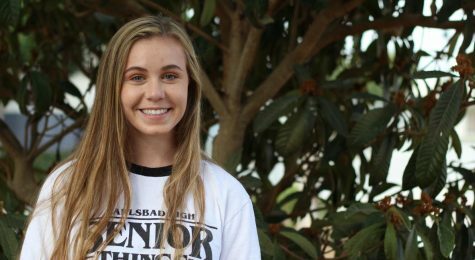 Yet, sophomore Maddie Ward manages to juggle it all, while at the same time, making a name for herself in the world of music. Unintentionally discovering a love for a new activity happened for Maddie a couple years ago. Since then, Ward has accepted an abundance of responsibilities in high school, but her musical hobbies still persist. 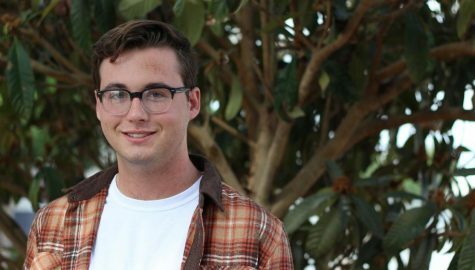 Ward is an active participant in six clubs, while also becoming junior class president. 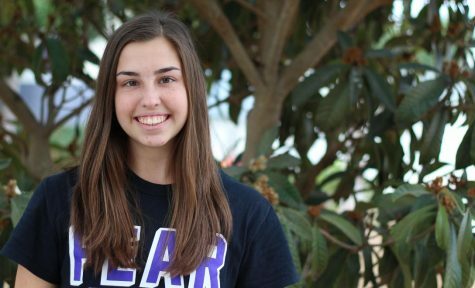 Her involvement in school activities has resulted in a variety of leadership roles, including being president of the Academic Science Club, Academic League team manager, live guest and social media producer for CHSTV and Lancer Link’s multimedia editor. Despite her commitments, music is never on the backburner for Ward. As of now, Ward sees her talent as more of a hobby, rather than a career. Even though becoming a musician seems unrealistic to her, Ward still hopes to connect with others through her music farther down the line. “My main goal would be to just put out music that I was proud of and music that other people could relate to,” Ward said. Visit Maddie Ward’s YouTube, SoundCloud and Instagram to experience her musical talent for yourself!